Jack Butala: Welcome to the show today. 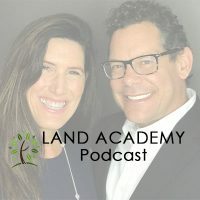 In this episode, Jill and I talk about the number one way to buy any piece of property. Before we get into it, let’s take a question posted by one of our members on the LandInvestors.com online community; it’s free. Jack Butala: There’s a girl named Jill who handles all of our insurance. Jill DeWit: Oh, sorry. Sorry. There’s an assistant named Erin, who works the insurance team. So, I’m not sure how to answer this. Jack Butala: So, I love your long term approach. You’re, you know, taking the long-term view. Two weeks from now, we are going to have what’s called millionaire week. Jill doesn’t even know this. Jill DeWit: It was really good. Jill DeWit: Wow, I didn’t even. Wow, look at that. Jack Butala: What to expect when you become a millionaire. How to pay it forward after you’re a millionaire. What’s your next goal after you cross that line? How to stay on top and not lose it all. And what should you own? This is my personal favorite. I think Jill’s going to get a kick out of this. Jack Butala: When you cross that line, if that’s your line, maybe your line’s a billionaire, we can just say billionaire instead of millionaire, what should you wear? Jill DeWit: What should you wear? Jack Butala: Yeah. Should you change what you wear? Should you change how to talk to people? Should you expect things from a grocery store clerk that are different? I think I might be kind of a fun change for us. One of the things that you need to do when that happens, and I’m going to answer this question in a roundabout way through that, is to take a long-term view, which is what exactly what Jillian’s saying here. And insurance is involved in all of that stuff. So, you got to step up some insurance. Jill DeWit: … your assets. Jack Butala: … yeah, general liability insurance should be way less than $1,800 a year, in my opinion. So, I don’t know what your situation is. Maybe your LLC’s brand new or something like that. That sounds to me like it’s very expensive. Errors and Omissions Insurance and general liability insurance, if you have structured companies like Jill and I do. As an individual, and you’re just starting out, I’m not so sure you really have to worry about it too much in the beginning. But, it’s a good question. It’s valid. And it tells me, Jillian that you are taking this seriously, and that’s great. So, handle it like everything else. Get, E&O Insurance, Errors and Omissions, and get general liability in my opinion. And then shop it around. I don’t think you should pay anymore than a $100 for that, especially if you don’t really own any property yet. So, that’s my whole point. And then, this is a universal rule for any type of business, don’t put too many assets in one limited liability company. If you own a couple of houses, maybe, that’s fine. If you own, I don’t know, 10 or 15, or a bunch of properties, you can put it in one, but make sure if that LLC, for whatever reason sustains any type of, you know, legal liability, that it implodes on itself and doesn’t kind of … The technical term is pierce the corporate veil, so to speak. It doesn’t come back personally. Jill DeWit: Yes. It did. Jack Butala: … that you’re about to go through. We’ll tell you … But you can probably write this show yourself. Jill DeWit: I bet you can. Jack Butala: Here’s how most people buy property. They contact their sister-in-law, who’s a real estate agent, and they say, “My husband needs a bigger garage. What do I do? Can you show us a bunch of houses that are on the MLS, the multiple listing service. Can we go on Saturday night. That’s most convenient for us.” Exactly. Jill DeWit: I’ve got time Christmas Eve, can we do it then? Jill DeWit: Wait, wait, wait. Back up. Jack Butala: … a bad listing. Not just a bad real estate investor. Jill DeWit: … might have been the first mistake. Jack Butala: Getting a husband who needs a bigger garage? Jill DeWit: That was mistake number one. Jill DeWit: There we go. What does he … Oh boy, and he’s a hoarder? Out. We don’t do that. Jack Butala: I will have to agree with you there. Jack Butala: About the husband thing. Jill DeWit: And the garage. And so, what’s the first thing the guy does? Jill? Jill DeWit: Picks up the phone, calls a broker. Jack Butala: That’s it. Ding, ding, ding. Jack Butala: The worst thing you can do is call a broker. And here’s why, that broker’s innately motivate, just like Sally’s sister-in-law in the first example, to show you the property that’s the most easily closable. Jill DeWit: Because they’re all about the [crosstalk 00:06:22]. Jack Butala: Or the one that you qualify more, the most. It all ends in one place. Jack Butala: Selling a property that is the easiest deal for them to complete, and that they know you qualify for, and they can get a deal done fast. Jack Butala: It’s evil. It’s all set up to fail. Everybody makes money, everybody: real estate agents, mortgage brokers, mortgage companies, contractors, inspectors, insurance people, when you start down this path. Everybody makes money except you. Making money’s a zero sum game. Gordon Gecko is right, somebody wins and somebody loses, 99.9% of the time. And when you start to call people to do stuff for you that you should be doing yourself, real estate investing I mean, you’re going to lose. It’s just set up that way. All right. Smart guy Jack, what is the best way then? I don’t have a lot of time. This is what you do. You sit down with whoever’s in your life, and you say, you start the question off like, “Yeah, we both want to move. We’ve both outgrown this house. And I love Meadows Four, or whatever.” And so you agree on an area, that’s the number one thing you do. Even in commercial investing. You agree on an area that where you want to be. And then you identify, in a house example, “I want three bedrooms. I want two bathrooms,” or whatever it ends up being. Or, “I want an RV garage,” in the husband’s case. And you buy the data. If you don’t know where to buy the data, go onto Land Investors, there’s people on there talking about it all the time. There’s a few places that are good, and a few places that are bad. We know which ones are which, because we failed, and succeeded. Buy the data, and send everybody a letter. A mail merged, perfectly crafted letter that said, “My husband really wants your RV space garage.” And you buy a house that way. That is a number one way to buy any piece of property. That’s the best way to buy an apartment building, a house, a rural piece of land, a nursing home. You name it. Jill DeWit: Can I weigh in on something for the chicks, here? Jack Butala: This is a short show. Yes. Jill DeWit: Okay, because here’s what I want to weigh in on. So, the chicks are going, “But no way, he’s only going to get his RV garage, I don’t get the view I want. I don’t get this I want, I don’t get that I want. I don’t get that I want.” So, I want to weigh in on how they get what they want. Jack Butala: Nice touch, Jill. Jill DeWit: Thank you. So, now, we’ve identified … We’ve sent out these offers. We know the area. We know the school district, everything that we wanted is in there. What’s really going to happen when it all shakes down is you’re going to be faced with maybe 10 responses, of those, you’re going to take, don’t like it, don’t like it. Now you’re down to three. This is what I tell guys to do. I tell guys, okay, get down to the three that meet your financial, you know, that decision is done. And then the wife can pick of the three that are left, based on her emotions. And then everybody’s going to win, by the way. Jill DeWit: … on the property. Jack Butala: … huge doesn’t describe that house. Jill DeWit: I know. But, it was the lot of him. Jack Butala: It’s a compound. Jack Butala: … he could have airplanes. Jack Butala: And it’s on like 40 acres. Jill DeWit: But he was, it was the ultimate guy dream garage, hangar, workspace. Jill DeWit: You know, and that was kind of for him. So, and that’s okay. Jack Butala: That was nice of her. Jack Butala: So, as a, Jill got a little sideways, and that’s okay, with her stories, as she does sometimes. And we all appreciate it. Jack Butala: Story time with Jill. That’s going to become a thing. Jill DeWit: It’s in that week, oh no. Story time with Jill week. 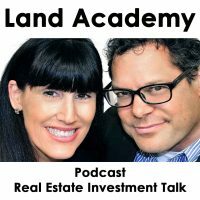 Jack Butala: The best way to buy a property, and this is the take-away from this whole show, is to send out a bunch of undervalued offers, and then pick through the ones that you want. You have complete control over your acquisition scenario, not some real estate agent. That’s exactly what you want. You could also buy back tax property, but if you listen to it shows ago, we describe why that might not be the best way either. Jack Butala: Join us in another episode, where we discus: Is holding cash, or holding property safer? Jill DeWit: And we answer Amy’s question about breaking contracts, contingencies and purchase agreements. Jack Butala: Great stuff. You are not alone in your real estate ambition. Jill DeWit: You didn’t like my story? Jack Butala: I love your story. Jack Butala: I love story time with Jill. I love it. Jack Butala: Wherever it is, you’re taking us with us, Jill. Jill DeWit: I had a lot of free time apparently, which is really not true. But I guess my mind just wandering, sorry. It’s been a crazy, crazy week. Jack Butala: … for your content. It’s awesome.